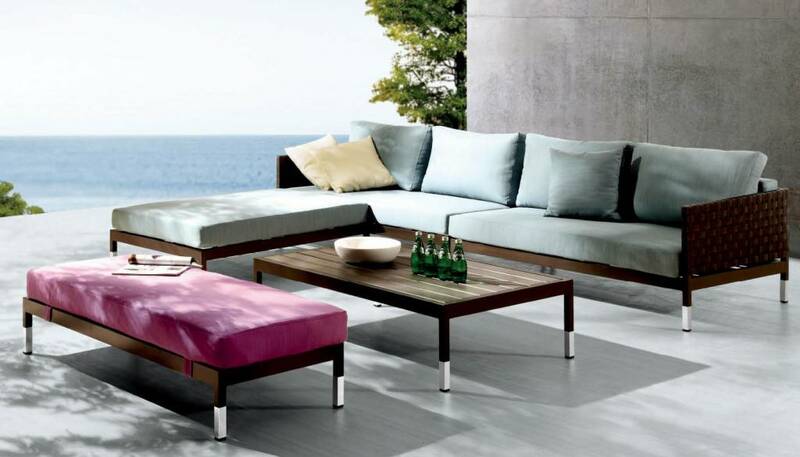 With a beautiful, straight forward design, the Sardinia Sofa Set with Bench will compliment any outdoor space. This set includes a bench for additional seating, a 4-seater sofa with an ottoman, and a rectangular coffee table. Comprised of Babmar Fiber®, the Sardinia Sofa Set With Bench is able to withstand the harshest of elements lasting from season to season. This Sofa and Ottoman is detailed with a 5" thick cushion and a heavy gauge aluminum frame.